I don't know about you but I LOVE to color. I love using a variety of coloring tools too. I recently held a class where I taught how to use our watercolor pencils, alcohol markers, watercolor paints, blending pens and other fun things! We played with a variety of techniques and created some 4x4 cards of the techniques. 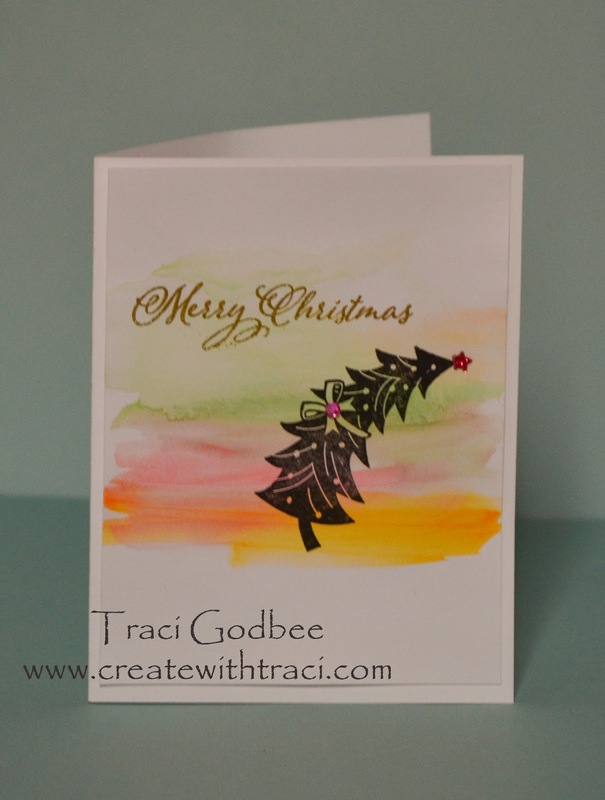 Here is one of the cards we created - we used the new CTMH Watercolor Paints. I love how vibrant the pigments are... they are some GREAT paints that I've had tons of fun playing with over the last few months. I used versamark to stamp the Merry Christmas, and gold embossing powder to emboss the words and make them pretty. I stamped the tree from the Make it Merry stamp set. I used the Cherry red Shinhan marker to color a gem that I stuck over the center of the bow on the tree. I used a glittery star from the pomegranate Fundamentals embellishment set to top off the tree. Check back for more artwork this week... I photographed 17 projects tonight...wowee!